Prezentare An assignment form their famous detective father to track down a ring of credit-card counterfeiters takes Frank and Joe Hardy on an exciting camping trip to the Rocky Mountains. But the cross-country trek with their pals Chet Morton and Biff Hooper is jinxed from the very first day. 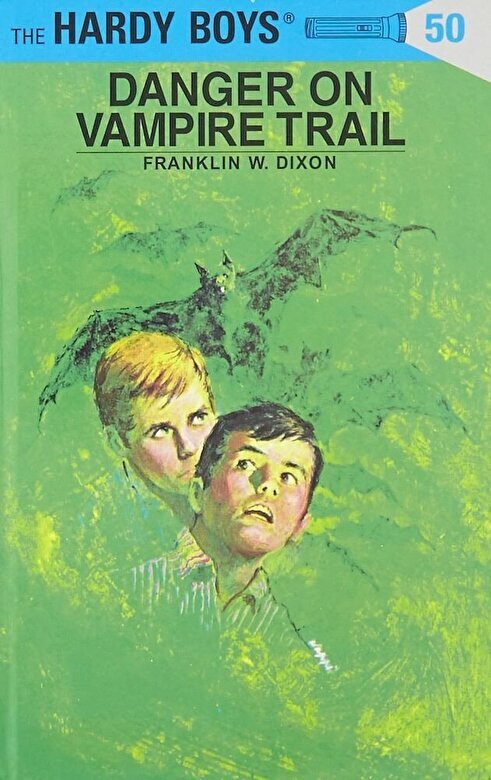 Strange happenings on a nearly impassable mountain lure Frank, Joe, Chet, and Biff to almost certain death before they discover the sinister reason for the danger on Vampire Trail.